In 2016, Jessica was selected as the Polk County Teacher of the Year as well as the 2017 Florida Teacher of the Year, representing 74 school districts and more than 175,000 teachers. Jessica served as the Christa McAuliffe Ambassador for Education and traveled throughout the state delivering motivational speeches and workshops focused on empowering teachers to create impactful learning experiences for their students. Jessica attributes her success in the classroom to her childhood experience of having her home serve as a foster home. When she was completing her degree in elementary education at Southeastern University, she continued her work with foster children through student internships at HOPE Youth Ranch in Hudson, Florida. Her passion for helping students grow through challenges earned her the Most Outstanding Education Graduate Award upon graduation in 2008. She continues her passion for learning by completing her masters in Educational Leadership at Florida Southern College. To continue her efforts of improving teachers’ instructional techniques, Jessica piloted the Extending Excellence Peer Mentor Program in 2016 and a teacher leadership program called Leading from the Classroom in 2017. Both programs promoted teacher leadership by making instructional practices public and putting an emphasis on teacher-to-teacher collaboration and mentorship. Whole group and small group instruction - Presentations include some core content information while sprinkling in opportunities for student voice, discussion, demonstration of understanding, and exploration. One technique I use often for differentiating is the Slideshow feature. I challenge my class to take on a mathematical task based on a standard we’ve covered in class and have students evaluate their level of mastery. This level (1-3) correlates to the number on the Slideshow feature added to the presentation. Students find the slide that matches their perceived ability level, take a screenshot of the differentiated task, and begin working with a partner who has made the same choice. 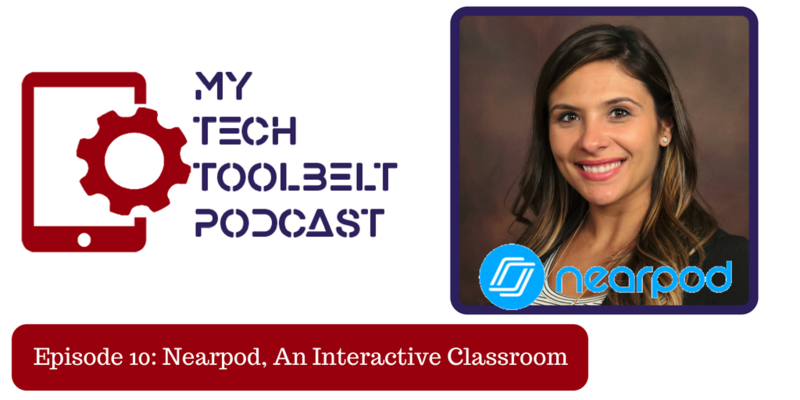 Student choice has made a powerful difference, especially when using Nearpod, because students have felt free to be honest with themselves and feel accomplishment when they are able to choose to push themselves to more challenging problems. Staff - Administration and professional development facilitators oftentimes preload faculty meetings and work sessions using Nearpod so that the majority of the face-to-face time that we spend together is spent on discussion and problem solving. Teacher Leadership - I’ve used Nearpod to present information to our cohort of Polk teacher leaders and was able to gear the discussion to the interest of our participants rather than giving a broad speech we assume many teachers could use. Because it integrated teacher input, we received more buy-in and participation in application projects.